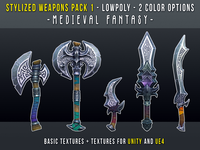 A Stylized Low Poly Weapon pack 1. Medieval fantasy. Contains 5 unique game-ready weapons: 2 Axes, 2 Swords and 1 Dagger. 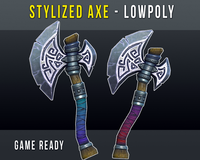 Stylized Lowpoly Axe, Game Ready. Medieval Fantasy. 2 Color options. Here is a fully rigged and PBR Ready Rocket Launcher 3d Model for all your Arms animation needs. Here is a fully rigged and PBR Ready Arms and Ammunition Pack 3d Model for all your Arms animation needs. Here is a fully rigged and PBR Ready Sniper Gun 3d Model for all your Arms animation needs. 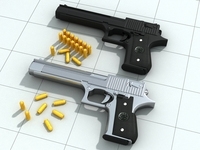 Here is a fully rigged and PBR Ready Pistol 3d Model for all your Arms animation needs. It comes with 2k texture and ready to render.. 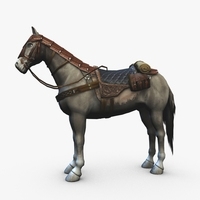 The pack Includes Diffuse map, Normal map, Occlusion map and specular map. 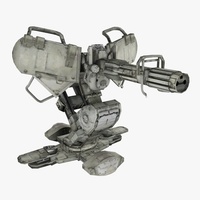 Here is a fully rigged and PBR Ready Machine Gun 3d Model for all your Arms animation needs. It comes with 2k texture and ready to render.. 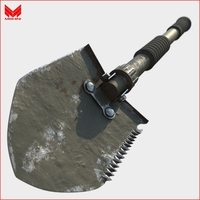 The pack Includes Diffuse map, Normal map, Occlusion map and specular map. It has reload function, Fire function and Magazine removing Function in a rig. Highly detailed 3d ray gun created with subdivision modeling techniques. High quality model of Sniper M24. The model has high detailed design, a fully textured and ready for close-up and HD renders and games Renders don't need plugins. 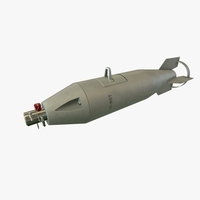 High quality model of G3. The model has high detailed design, a fully textured and ready for close-up and HD renders and games Renders don't need plugins. 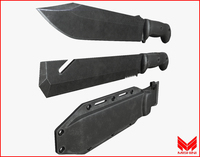 A Gurkha knife that have good material and ready for game or general purpose. Game Ready Model. 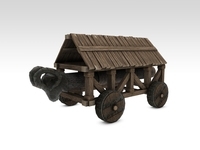 3d model of a battering ram. Perfect for games, scenes or renders. Military BK&T Kabar knife with 2 styles, along with sheath.